China’s Guangzhou Ballet, which was founded in 1994, has a formidable international reputation. The company, with its 88 well-schooled dancers. finally made its Toronto debut and did not disappoint. Return on a Snowy Night was choreographed by Toronto-based Xing Bang Fu, and it is a testament to both his story-telling and character detailing abilities, that one could follow the scenes despite a very skimpy program. Xing clearly knows how to manipulate ballet vocabulary. The story is based on a famous 1940s play by Wu Zuguang about the doomed love between courtesan Yuan Yuchun and Peking Opera singer Wei Liansheng. As the leads, Fu Shu and Wang Zhiwei were simply exquisite. Their understated performances radiated their troubled hearts. Xing was very clever in how he juxtaposed ensemble numbers into the story. The score of Chinese musical idioms played by a western orchestra was haunting. 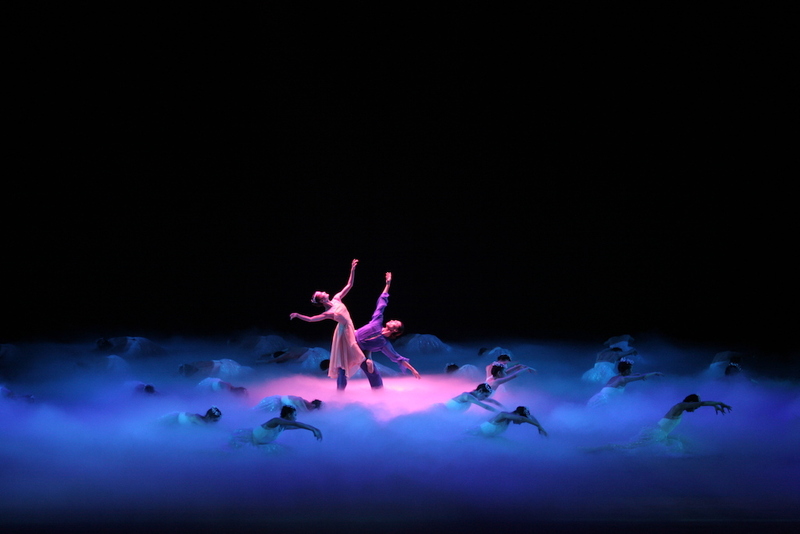 Guangzhou Ballet is a classical company in the real sense of the word – old-fashioned, maybe, but beautiful nonetheless.